The Pi Rho Chapter of Omega Psi Phi Fraternity Inc. presents the Inaugural Sundresses and Linen extravaganza! Featuring the Brothers Igniting A Groove (BIG) band and live DJ! 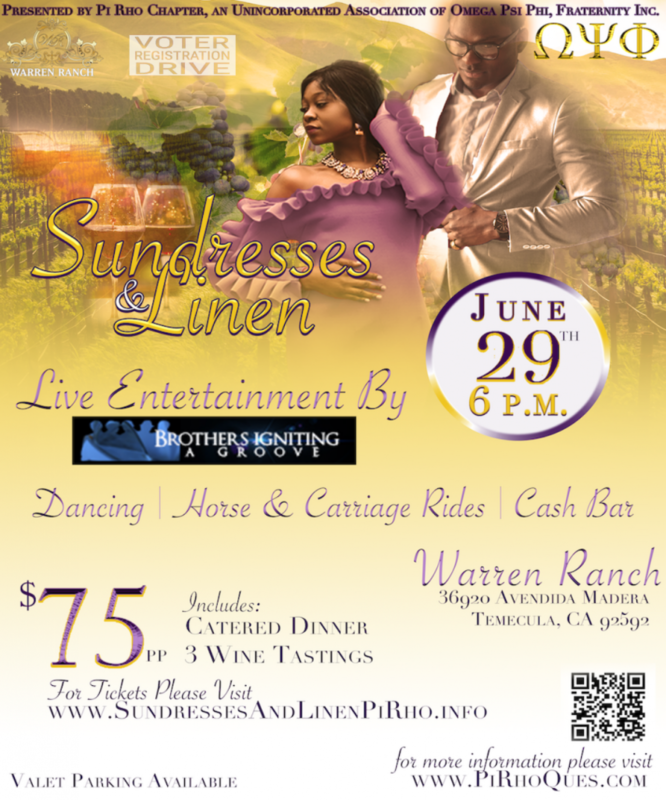 Men put on your best LINEN and Ladies floss your sexiest SUNDRESSES for a wonderful night on the town in Wine Country! Appetizers, Catered Meal, 3 Wine Tastings (INCLUDED IN PRICE) CASH BAR! LIVE PERFORMANCE BY B.I.G. (Brothers Igniting a Groove) and Live DJ!